After a couple of really dope hit-it-and-quit it performances with our ill-acious queer hip hop homies, God-dess and She, Bentley Mode (Yep, that’s the official name. Want to know why? Click HERE) is pleased to announce the remaining dates in our T4GB EastCoast Tour. Mark your calendars and tell your friends. We need your support and can guarantee you a good time in exchange! 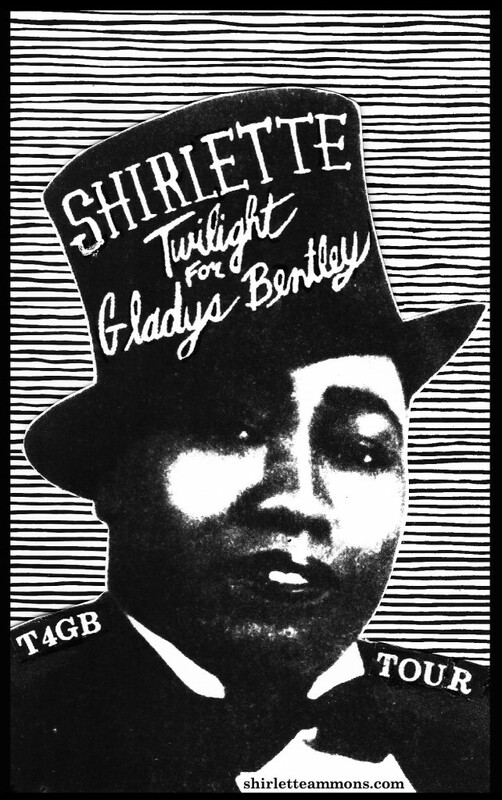 We will be taking pre-orders for “Twilight for Gladys Bentley” at each stop. We look forward to seeing you on this kindred journey. Check back here regularly as we will be chronicling our escapades.